The App Manager sample application demonstrates how you can manage applications installed on a device. 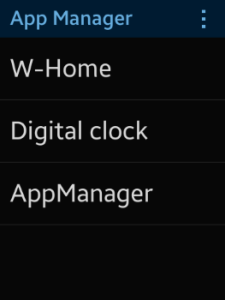 The following figure illustrates the main screens of the App Manager. The application opens with the main screen (top row in the figure) that shows a list of installed applications. 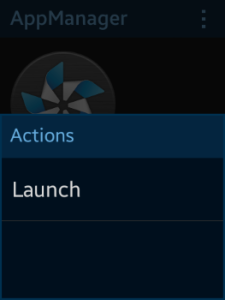 With the menu button at the top, the user can filter the list by applications status to show all applications or only applications launched at the moment. To see the application details in the details page (bottom row in the figure), click an application in the list. The details page displays the application icon, version, installation date, and size. 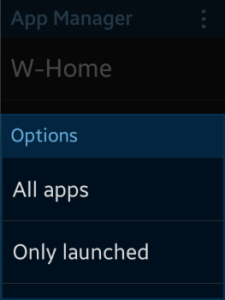 To launch the application, open the menu from the button at the top, and select Launch. The application uses a simple MV (Model View) architecture, where the core part determines the architecture and the app part determines the application behavior. The core.js file implements a simple AMD (Asynchronous Module Definition) and specifies module defining. js/views/ This directory contains the files that implement the application views. templates/ This directory contains the templates for the list items. If all applications are shown, they are retrieved in the success callback. If only launched applications are shown, they are retrieved in the getLaunchedApps() method. With the getLaunchedApps method, filter the application list to show only currently launched applications. The method gets the allApps array of the ApplicationInformation objects as an input parameter. The allApps array contains the objects of all installed applications, and the method filters the array and returns only the currently launched applications. 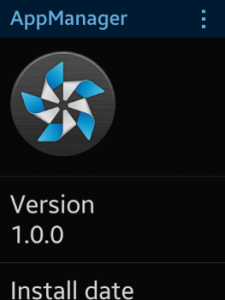 The filtering is performed with the tizen.application.getAppsContext() method, which gets the contexts of all launched applications. In the apps module, define the getApp() method to retrieve the ApplicationInformation object of the application. The method gets the ID of the selected application as the appId input parameter. The apps object is an instance of the apps module defined in the js/models/apps.js file. In the apps module, define the launch() method that launches the selected application. The appId input parameter defines the application ID of the application to be launched. The success callback (onLaunchSuccess) displays an information popup stating that the application is launched and the error callback (onLaunchError) displays an error message popup.